Traveling over spring break, I sat in the aisle of the airplane while my kids were in the middle seats. I noticed how much the air hostesses walked back and forth up and down the aisles, and I mentioned how comfortable her shoes looked. She answered, "We walk across the country on a daily basis!" I loved that quote - because it emphasizes how much walking anyone in the service industry does; this is why it is so important to wear comfortable shoes to help you get through the work day and prevent any injury or pain that could become chronic later. What do you want to look for in a shoe? - Look for a wide toe box - It is important to have enough room for your toes. A narrow or pointed toe box will pinch the sides of the feet and may hurt the tops of the toes causing corns or calluses or blisters. - Make sure it is the correct size - Many people think they are a certain shoe size and haven't been measured in 5-10 years! As our bodies age and change, so do the shape and size of our feet. 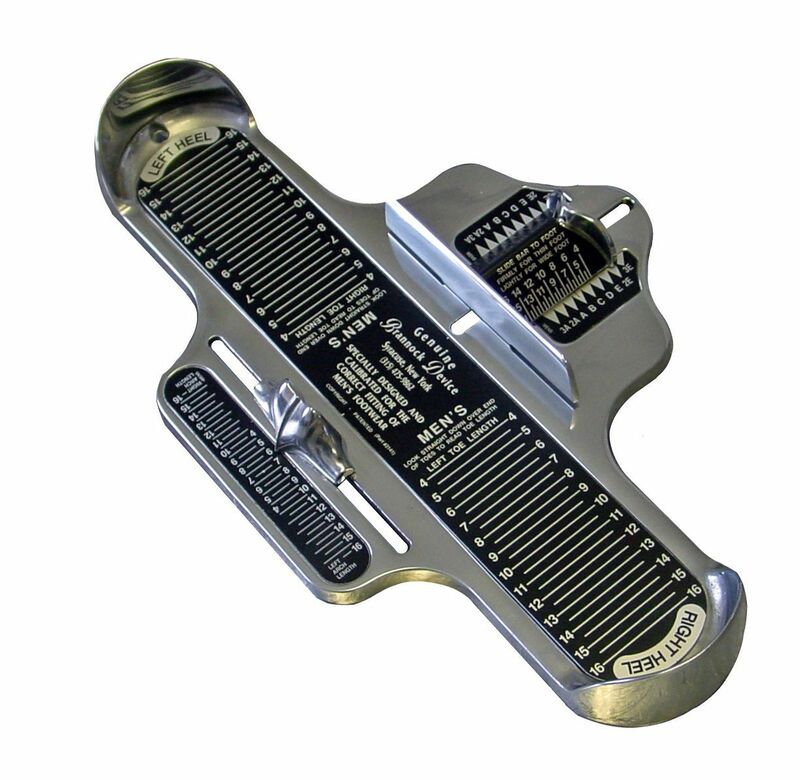 Make sure to have your feet measured with a Brannock device. Measure your feet towards the end of the day as your feet may swell. -Make sure there is ample arch support, or the ability to remove the insole if you wear orthotics - Shoes with a good arch support allow support for your feet and prevent them from flattening out, which may cause arch pain or heel pain. If there is no arch support, then there should be enough room in the shoe to be able to use an orthotic, or insert, in the shoe. If you have any questions about shoe gear, stop by our office and /or make an appointment to see one of our doctor.